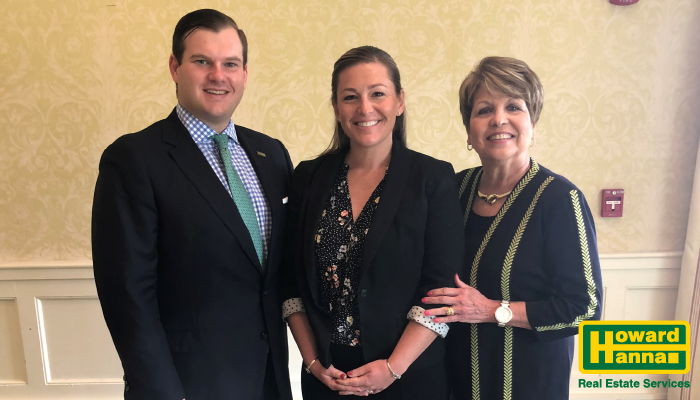 Virginia Beach, VA (June 14, 2018) – Howard Hanna Real Estate Services is pleased to announce that Courtenay Ross Mason, assistant managing broker of the Laskin Road office, has been named managing broker of the office. Former managing broker Jack Voss, after an illustrious 22-year run at the Laskin Road office, will become Director of Special Projects for Howard Hanna. Since 2010, Mason has been with Howard Hanna. First as top agent, earning National Sales Excellence, Multi-Million Dollar Producer, VPAR Outstanding Salesmanship Gold Award winner, Champions Club, and Hanna Travel, and then as the assistant managing broker of the Laskin Road office. Mason resides in Virginia Beach with her husband Derek and two sons. “I am incredibly humbled and grateful for the opportunity to expand my role as a managing broker with the distinguished sales associates of Howard Hanna’s Laskin Road office. I am proud to be a part of the office’s reputation as a market leader and award-winning office. As a team, we strive for excellence in all we do to assist clients with their real estate needs,” said Mason. Howard Hanna Real Estate Services has plans for growth in Virginia and beyond during the remainder of 2018. Under the leadership of managers like Courtenay Ross Mason, the company is poised to exceed those goals. Photo L to R: Dennis Cestra, Jr., Courtenay Ross Mason, Gail Coleman, President Howard Hanna Southeast Region.